Just when you think you've seen everything in London, you're invited to a place you'd never heard of before. That happened to me last weekend when I went on a photography workshop at Grant's Museum of Zoology. 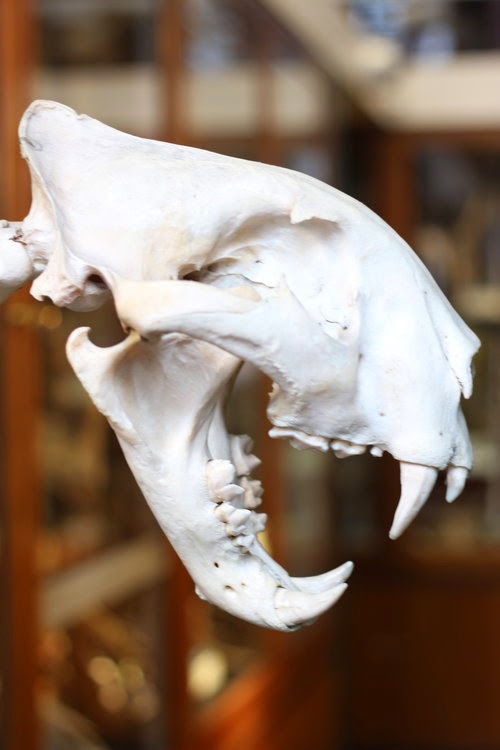 This small, but oh so fascinating museum is the last university zoological museum still in existence in the capital and it holds 67,000 animal specimens, covering the entire animal kingdom. It was established in 1828 by Robert Edmund Grant who was am important biologist who apparently influenced Charles Darwin in his studies. Grant used the collection at the museum for teaching students. Today it's open for visitors and even if you're not all that much into biology, this museum will surprise you. 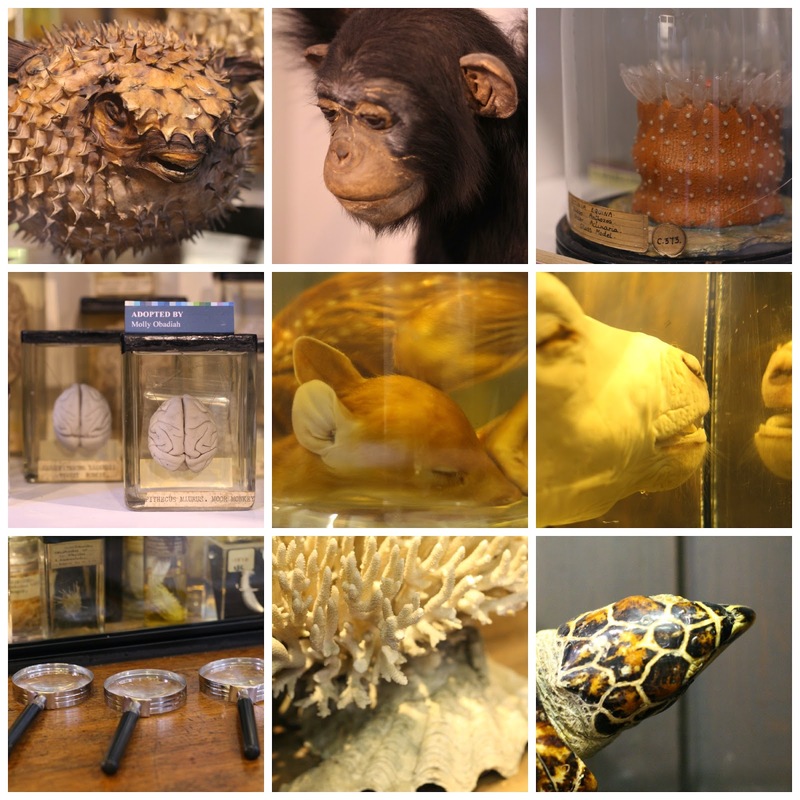 The cabinets and display cases are still in its Victorian state and they are totally packed with skeletons, stuffed animals and specimens preserved in fluid. 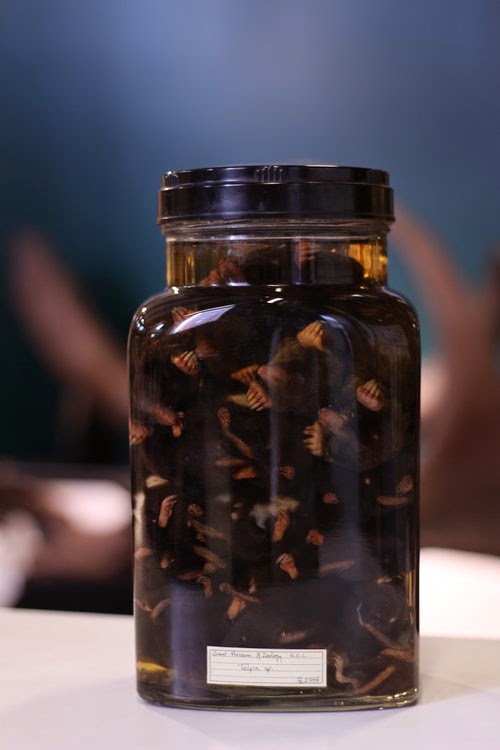 There are animals you've never heard of like the quagga, there's a jar of 18 little moles an entire python skeleton and lots and lots more. We spent two hours in the museum, but I could've easily spent a couple of hours more. Fascinated? Check out when to go on their website. Wow, I've never even heard of it, despite the fact I've passed that building several times. I thought all those buildings were part of their hospital. Things you learn, thanks for the heads up, it's looks a fascinating place. It was and certainly worth a stop next time you pass by. Wow, it's a very interesting place to explore! I would definitely go see it. It was really really cool. A real must-visit.